Autoquip has developed a complete line of 55 gallon single post elevators for lifting 55 gallon cover-mounted pump and agitator systems to join our 5 gallon pail lift system. The pneumatic lifting device easily raises and lowers the agitation system during the drum change-out process. The operational controls are centrally located and designed to restrict activation of the agitator while the drum cover is in the raised position, reducing exposure to rotating components decreasing injuries and spills. The elevator can be furnished alone or as an assembly. 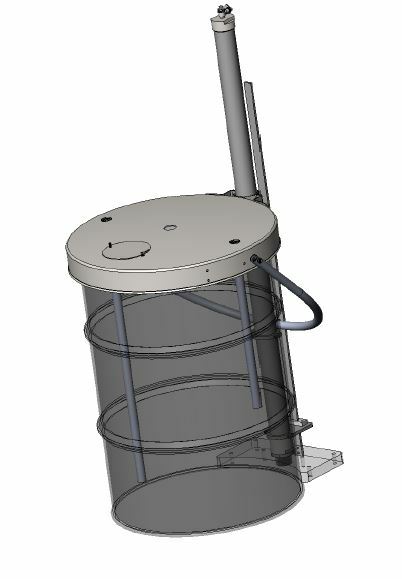 The agitator system was designed to be mounted to the barrel lid. It uses a leak-free oil-less gearbox that prevents material contamination and is designed with a center pick up that allows material transfer though agitator shaft. 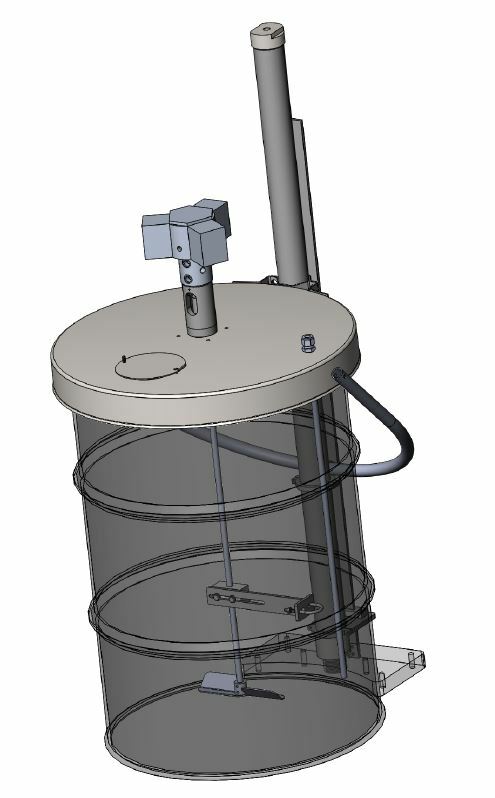 Our 55 gallon drum system uses the Autoquip energy efficient pneumatic-driven piston air motor for agitation of the paddle(s) to efficiently mix coating, and is mounted to a pneumatic lifting device to raise and lower the assembly from a drum.